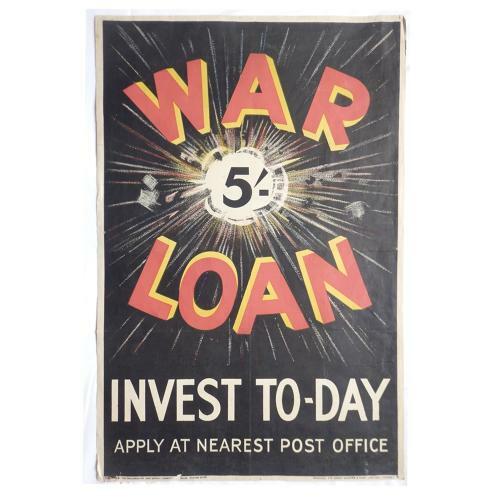 WW1 'War Loan' poster published by The Parliamentary War Savings Committee, London. Printed by Sir Joseph Causton & Sons Limited, London. Approximately 50 x 75cm, printed on paper. Linen backed. 1915 date stamp on the back. Some loss at the edges but in good overall condition. Stock code BO4092.